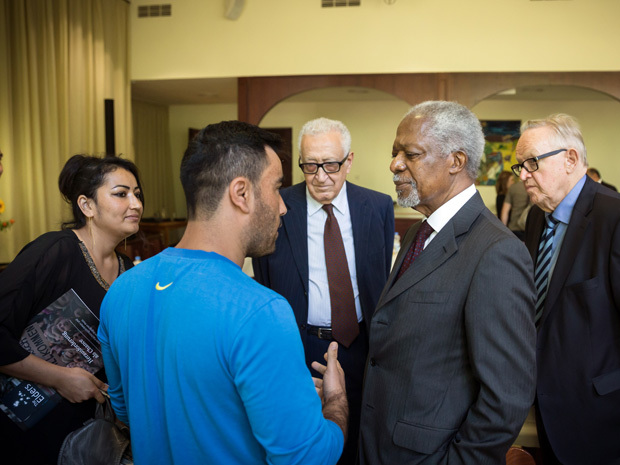 In September 2016, Kofi Annan, Martti Ahtisaari and Lakhdar Brahimi visited Germany to launch a new report on refugees and migration. 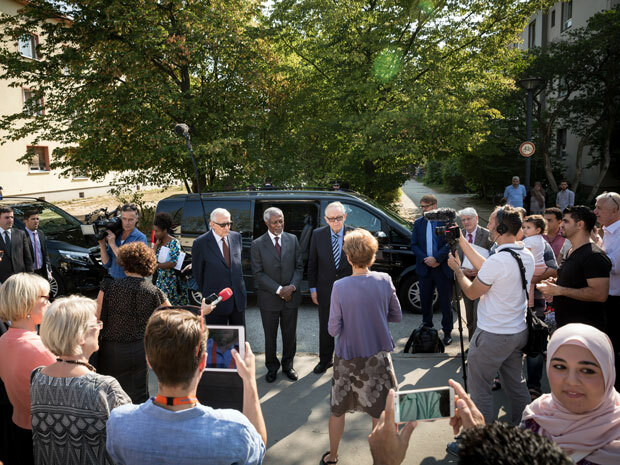 During their visit, they heard a selection of perspectives on the country's response to the crisis, and met refugees at the Marienfelde resettlement centre in Berlin. 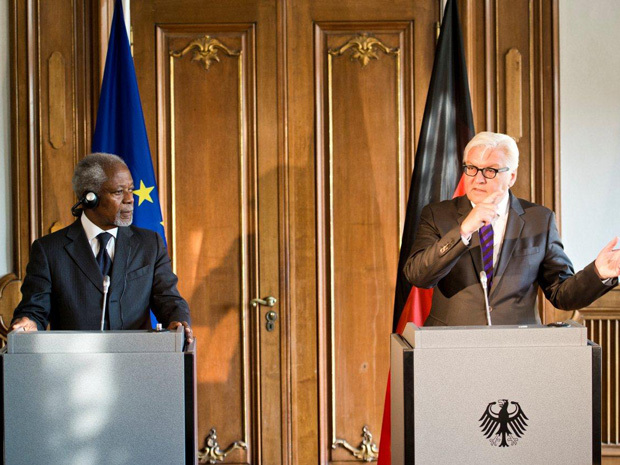 Kofi Annan and German Foreign Minister Frank-Walter Steinmeier addressed the press ahead of their discussions. 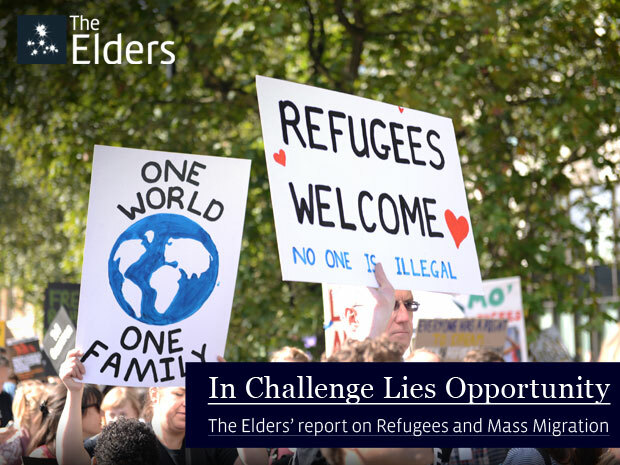 They spoke about the most recent developments in Syria as well as the broader issues of refugees and migration as covered in The Elders’ new report. 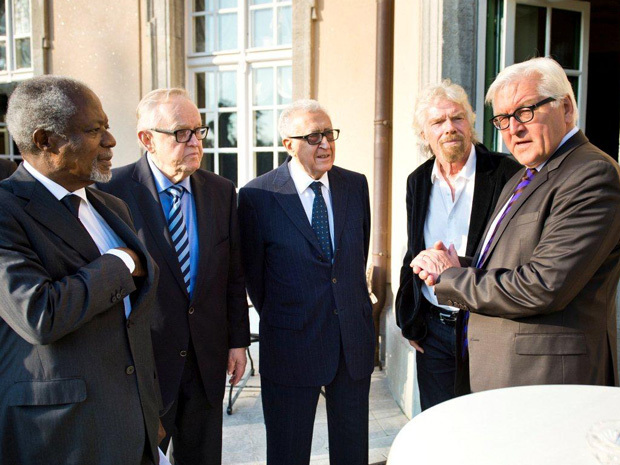 The Elders, accompanied by Richard Branson, discussed the challenges of dealing with refugees and migrants in their discussions with Minister Steinmeier. They welcomed Germany’s leadership in responding to the surge in arrivals of refugees over the past year. 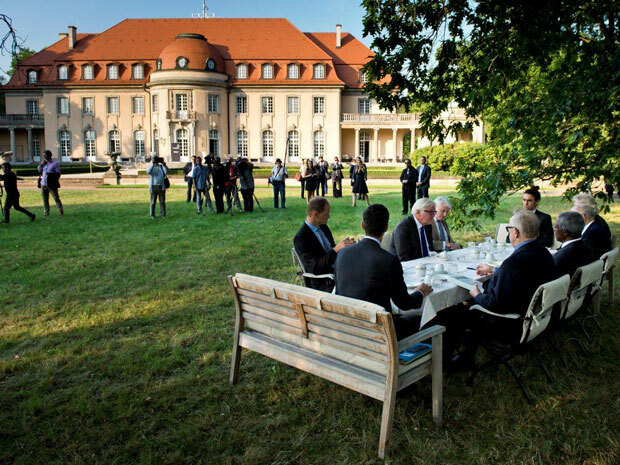 At discussions on the lawn of the Villa Borsig, the Foreign Ministry’s official guest house in Berlin, The Elders and Minister Steinmeier also addressed key geopolitical issues including Ukraine, Syria, US-Russia cooperation, Iran-Saudi tensions, Turkey and refugees, and arms control. 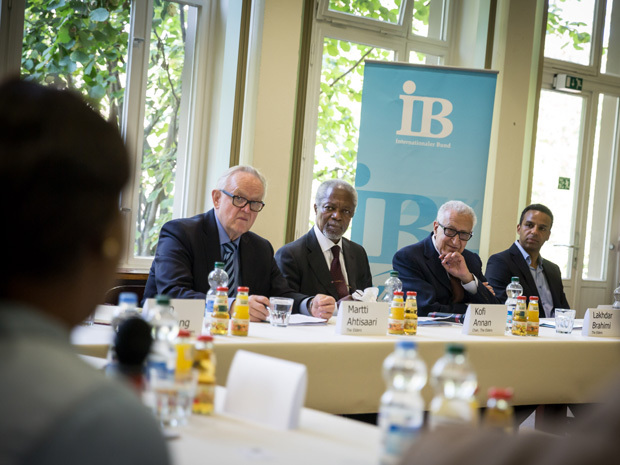 In Berlin, the Elders visited the Marienfelde refugee centre run by the Internationaler Bund charity. They met residents from Syria, Afghanistan, Iran, Eritrea, Nigeria and Serbia and listened to their stories. These highlighted the global nature of refugee and migration flows, while their experiences and challenges with work, housing and integration in Germany emphasised the need for a comprehensive approach by public authorities. During the discussions, the Elders heard many accounts of the traumatic journeys across the Mediterranean which refugees were forced to take. This reinforced The Elders’ belief that alternative pathways are crucial and that the world cannot decry people smugglers without providing a credible alternative. 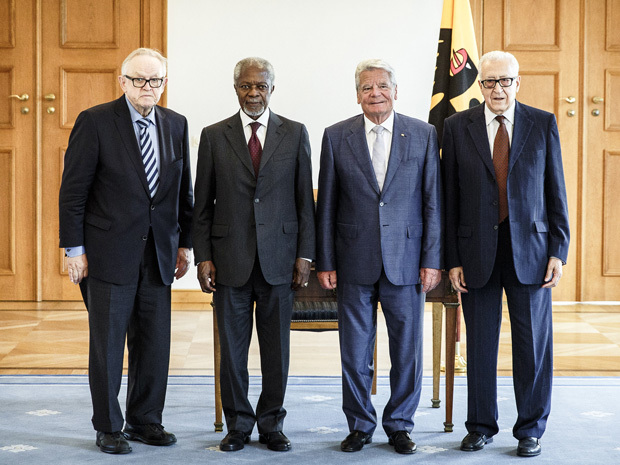 The Elders concluded their visit with a meeting with Federal President Gauck to commend German leadership on the refugee response, and discuss how all countries should respond to the rising tide of xenophobia and populism by asserting the values of tolerance, solidarity and respect for human rights.